Since I was a child I have always loved dress-up, makeup, styling hair, and being the one doing the pampering. After 15 years in the beauty field, I was so blessed to team up with two very talented people and create "The Fix" in 2014. What is most important to me is that everyone who walks through our doors feels like a VIP. I give my clients my undivided attention and customize each treatment. I want you to come in and put away whatever you have going on for our visit and leave feeling refreshed. I feel like a beauty therapist, that I am not only catering to the outer layers but also paying attention to what’s going on with your life and how you’re taking care of yourself. I shoot for that inside-out approach to make your skin and spirit glow after each session. Take some time to get pampered, be my guest, and get your "Fix." Dish Boutique is beautifully curated with the discerning eye of Desiree Alexandra. She has spent over 19 years, yes, you cannot tell, making Dish Boutique one of San Francisco’s most beloved high-end shopping destinations. Desiree’s impeccable taste and elegant merchandising leaves one breathlessly in awe. Desiree lives in Berkeley with her loving husband and two handsome sons. Hey Lady, the brainchild of marathoner twins Emily & Jessica Leung, is a vintage chic with modern comfort shoe with athletic grade performance. What began with weddings (#runawaybride) has turned to all special occasions: your daily life. They bring you the "Amal Clooney" of shoes, the total package of beauty, brains, personality, and heart. The identical twins also have non-identical feet. They will soon bring you RetroFIT, a 3D scanned bespoke crafted shoe for your perfect fit. Hey Lady debuted online in Spring 2009 and grew from word of mouth. They have shipped to 33+ countries from the United Arab Emirates to New Zealand, providing an accessible luxury with lasting comfort to brides, bridesmaids, MOBs, and dancing queens worldwide. Table + Teaspoon is the brainchild of Liz Curtis, a former successful corporate litigator who left the law to pursue her passion for entertaining and design. 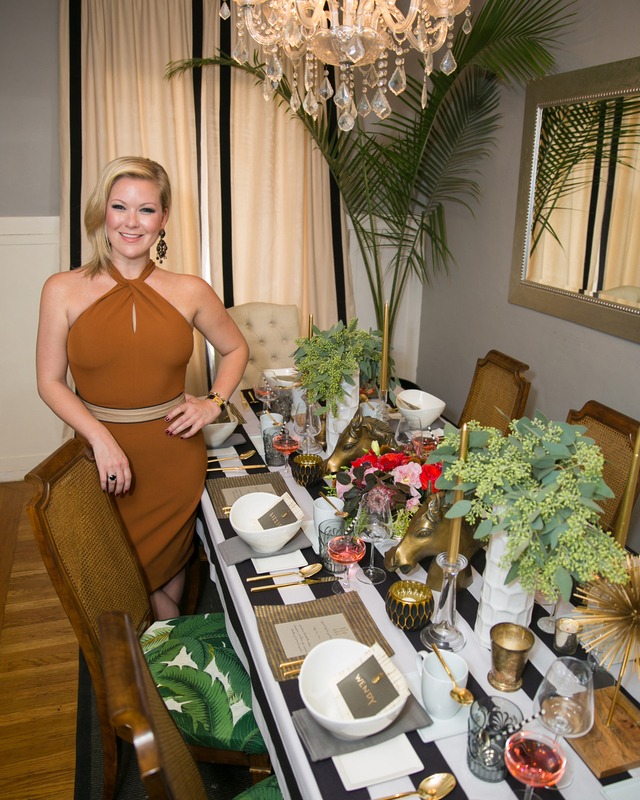 Born as a cooking blog in 2009, Liz quickly established Table + Teaspoon as a premier event planning, interior design, and private catering firm. This summer, Table + Teaspoon reentered the market as an on-demand tabletop rental company throughout California. Liz’s goal is to make entertaining accessible and effortless for everyone. In her spare time, Liz serves as Vice Chair of the ArtPoint Board for the de Young and Legion of Honor Museums, and does pro bono work with abused and neglected foster youth. Jada grew up dancing (jazz, ballet, hip-hop, & modern) at the age of four and trained at a professional level for 10 years. While attending college at Sacramento State, she was a member of the NBA Sacramento Kings dance team. After graduating, she moved to Los Angeles to further pursue her career and dance with the L.A. Lakers as well as work with some of the industry’s top choreographers. After years of dancing professionally and incurring several injuries to her body, she made the decision to transition into a career in fitness…her true passion. Jada has a background in personal training, group fitness instruction, Pilates, yoga, and barre fitness. With her well-rounded background and years of experience, she is skilled at working with clients of varying levels of fitness. Utilizing her skills as a Life/Success Coach, you will always feel encouraged throughout her workouts.